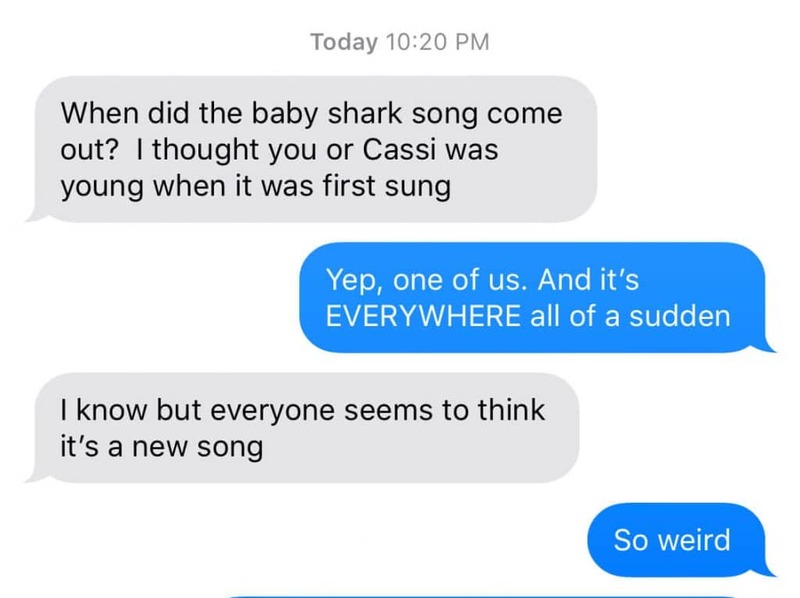 One woman’s search to prove that “Baby Shark” is not at all a new song, but in fact an old camp favorite. Like, decades old. 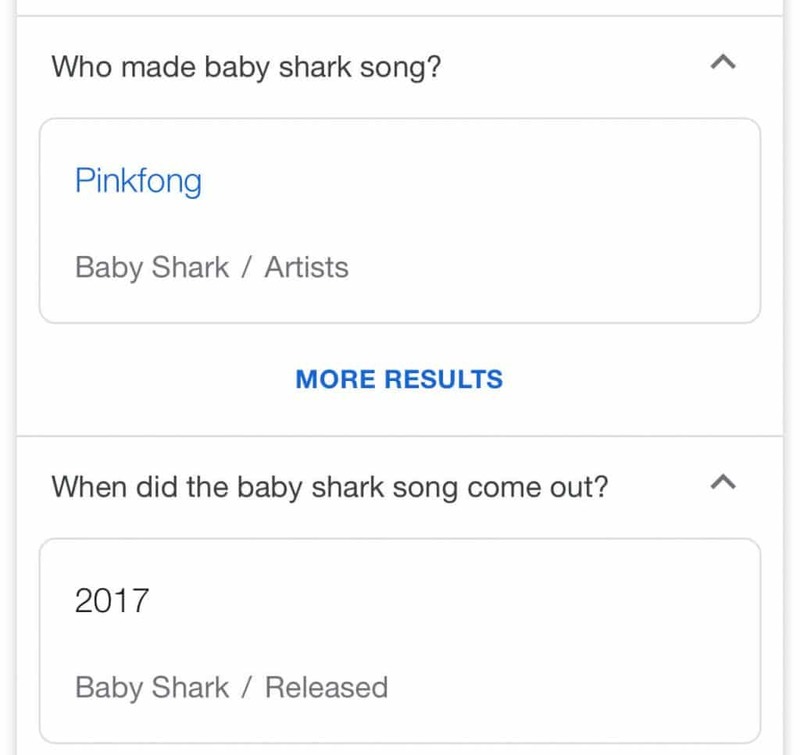 The Baby Shark Song, Reincarnate? THAT SAME DAY, someone else posted a meme about it somewhere – probably on Facebook. So weird, I thought. (Doo doo doo doo doo…) What are the odds that people in two totally different circles of mine would have the song stuck in their head the same day, and post about it? Ok, so of course I know NOW that the song is “all of a sudden” all the rage in the under-5 crowd. Someone, somewhere must have made it popular again, I eventually realized. Having been reminded of this oddity, of course I had to head over to Google. Google is useless. So is Wikipedia. And most of the rest of the internet. By this point, my mom and I were both pretty determined to prove we weren’t crazy. At least not about this one thing. “Jester Jim” performs the Baby Shark Song on his YouTube channel. Commenters discuss how they used to sing it at camp. The aforementioned CD by Mike Whitla is released, including the Baby Shark Song. By this point, we thought it was all coming together. In 2003, my sister would have been 11 years old. Assuming the song likely had to have been around at least a couple of years if it was being shared on an internet message board, she’d have learned it in early to middle elementary school. SUCCESS! And then things got even better, in more ways than one. 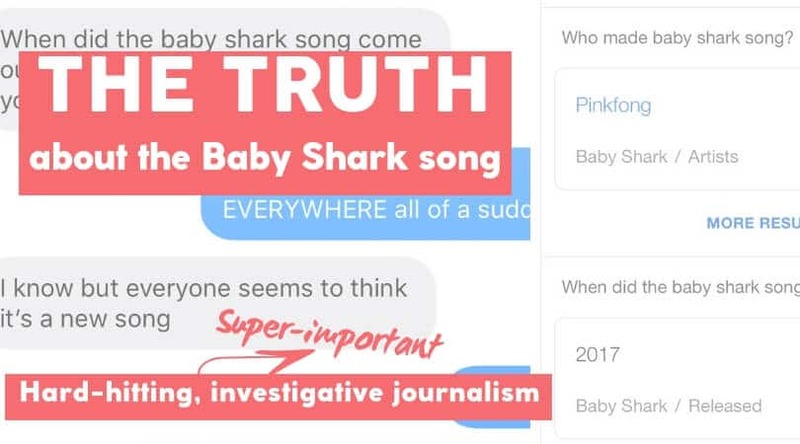 Someone performed the Baby Shark Song at a homecoming celebration, during “amateur hour”. Dang, this guy was ahead of his time. I hope he’s a producer somewhere. And now you know… (some of) the rest of the story. Of what my brain does when I can’t sleep. Doo doo doo doo doo…. Previous Post: « Which Barcelona Beach is Best for Families?